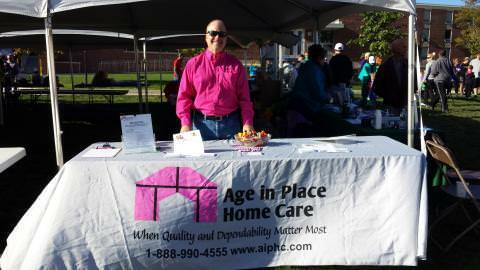 For the second year in a row, Age In Place Home Care participated in the 2015 Walk to End Alzheimer’s Disease in Kutztown, PA. The Walk to End Alzheimer’s unites the entire in a display of combined strength and dedication in the fight against this Alzheimer’s. The beautiful Fall weather brought out hundreds of individuals all focused on a single cause to raise awareness and funds to battle this devastating disease.